The Watzmann (Bavarian: Watzmo) is a mountain in the Bavarian Alps south of the village of Berchtesgaden. 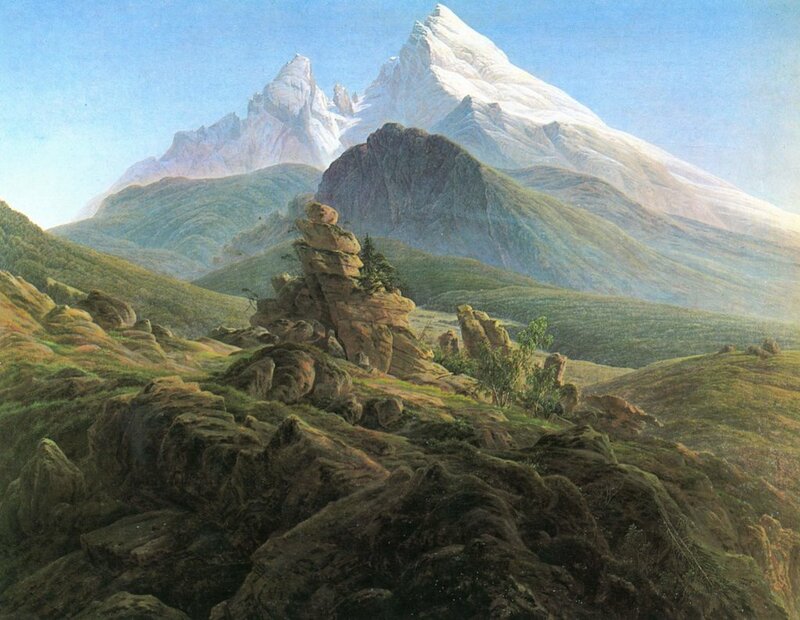 It is the third highest in Germany, and the highest located entirely on German territory. Three main peaks array on a N-S axis along a ridge on the mountain's taller western half: Hocheck (2,651 m), Mittelspitze (Middle Peak, 2,713 m) and Südspitze (South Peak, 2,712 m). 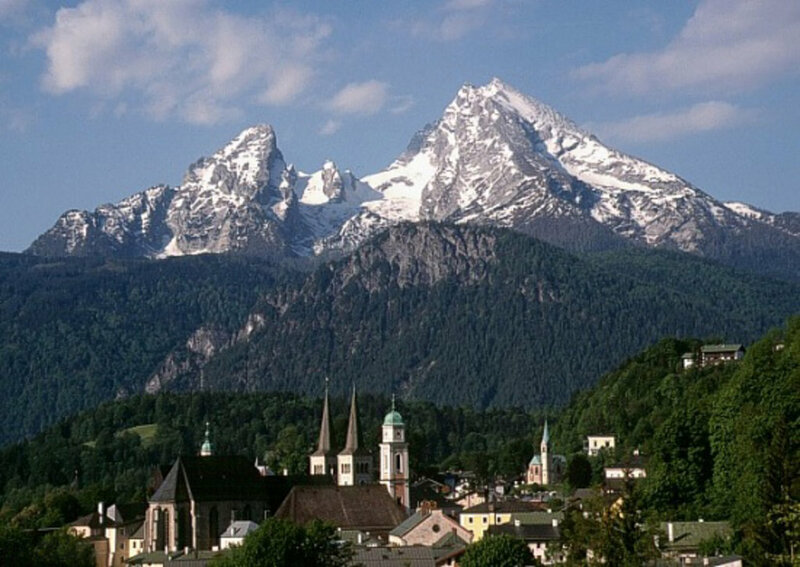 The Watzmann massif also includes the 2,307 m Watzmannfrau (Watzmann Wife, also known as Kleiner Watzmann or Small Watzmann), and the Watzmannkinder (Watzmann Children), five lower peaks in the recess between the main peaks and the Watzmannfrau. 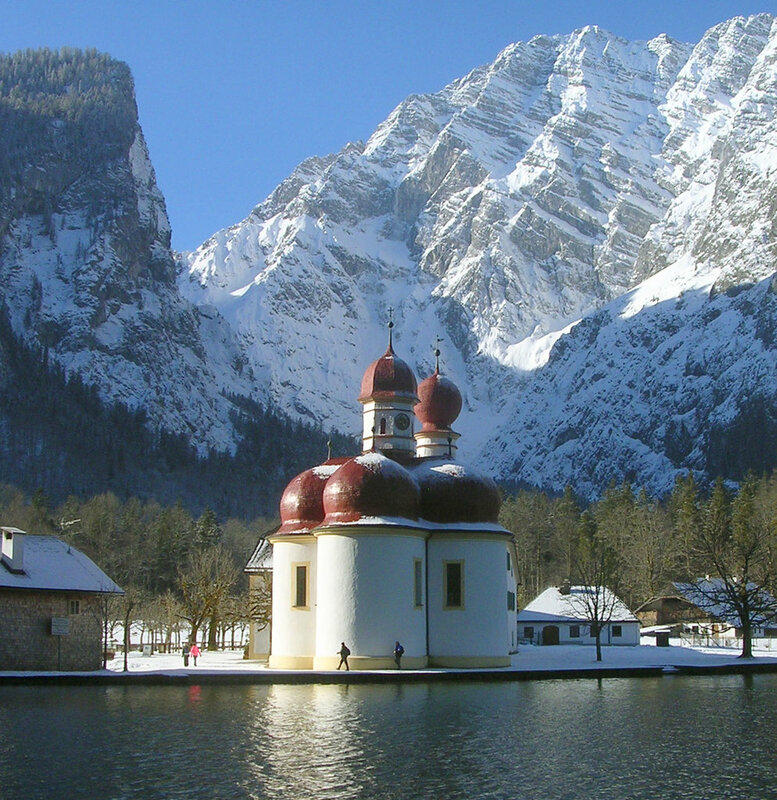 The entire massif lies inside Berchtesgaden National Park. Do you have photos of Watzmann-Mittelspitze or know something about it? Please let us know!